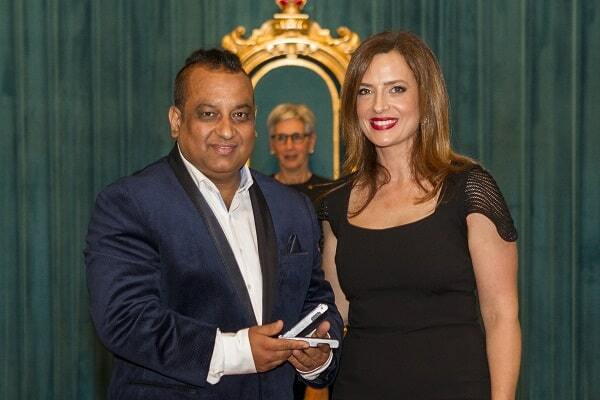 Deepak Vinayak is a committed community worker with over 17 years’ experience in volunteering and leading activities in the multicultural, multi-faith and regional communities in Australia. 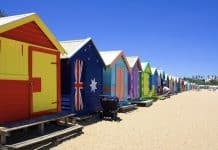 He has actively engaged with newly arrived migrants who have chosen Australia to be their homeland, training them in Australian values and ethics and helping them settle smoothly through language support and career guidance. He is currently engaged particularly to contribute to strengthen the community resources in the areas of violence, gender justice and youth empowerment through active participation and engagement with the government, police, media and broader Australian communities. His work with the youth has been particularly noteworthy. A key believer in the powers of youth, he has taken initiatives to not only provide mentorship to the youth but also develop formal and informal platforms to bring young people together to deliberate and act on issues like social cohesion and multiculturalism and encourage them to play active leadership roles in their own respective communities and regions, to strengthen fellow feeling, belongingness and good citizenship. He founded the South Asian Community Link Group in 2010 and remains as patron. A two-time People of Australia Ambassador, Australia Day Ambassador, Welcome to Australia Ambassador, VMC’s Meritorious Service Award winner, and advisory council member of the VMC, he claims his work gives him immense pleasure in connecting with people, volunteers, community, political, and faith leaders to promote peace and happiness. A civil engineer by background, Deepak Vinayak currently works as Community Liaison Officer for Metro Trains Melbourne. He is one of the first three Multicultural Champions announced by the VMC this year. For teaching and promoting Indian music and organising cross-cultural events, particularly the SSCAFF Satrangi 7 Colors Arts & Film Festival which brings together Indigenous, Indian, Australian and other performers in Australia. 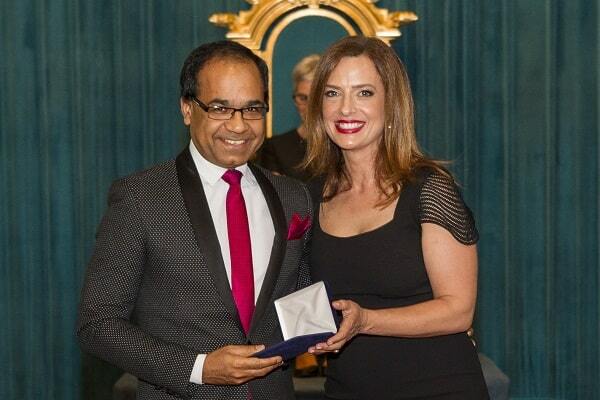 As a dedicated musician and artist, Nawal Moudgil is well known for his talent within the Australian Indian community in Melbourne. He is working to promote Indian music and films through the Sangam Kala Group Australia (SKGA) and NMFI – his own film, media and entertainment initiative. Always inclined to the fine arts, particularly music, Moudgil chose to pursue the promotion of creative arts full-time after gaining fame in Sa Re Ga Ma Pa World Series in 2004, when he represented Australia and New Zealand in this international singing talent hunt in Dubai. Travelling frequently between Melbourne and Mumbai after 2006, Moudgil gained experience of film and music in his interactions with established Indian names in this field. He worked in various capacities for overseeing multiple projects and worked with several film makers on music concerts, recordings and educational projects in Australia, India and around the world. Moudgil established New Millennium Films International in 2009 to showcase Victorian and Australian locations to the world as potential film production destinations. 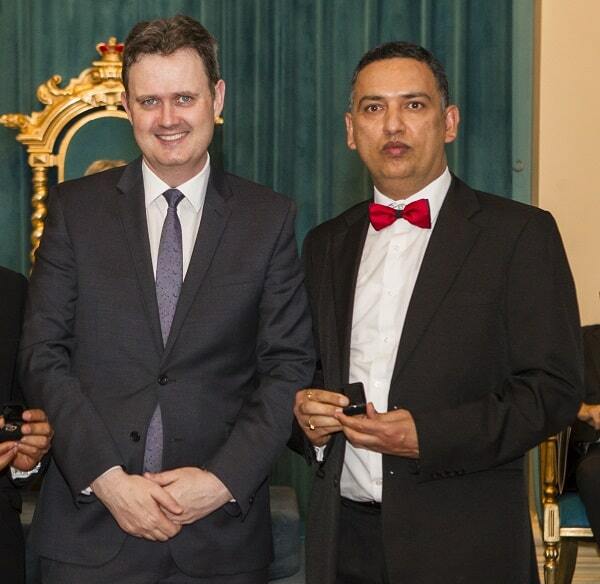 In 2013, the company was included officially in Government of Victoria’s Super Trade Mission to India. As president/festival director for SSCAFF Film Fest, Sawan Spring Fest, S & H Music Fest, Nawal Moudgil has been working to showcase potential and engage audiences, whilst promoting diverse arts and cultures. “Cultural expression in such public platforms is of great importance to ethnic communities as a positive means to share their experiences, talent and to promote social harmony,” Moudgil believes. For the development of the Overseas Medical Graduate Association, and for encouraging open discussion about intellectual disability and mental health in the Indian community. Dr Raj Khillan is a Senior Paediatrician with Western Health and Mercy Health Services and a Paediatric Discipline Leader at Melbourne Clinical School, Notre Dame University. He set up Australia’s first combined Women’s and Children’s Health Clinic in St Albans. The services provided by the 19 specialists in the one centre are, including paediatric surgery, paediatric orthopaedic surgery, uro-gynecology, gynaecology, obstetrics, sonography, physiotherapy, speech pathology, occupational therapy and psychology, drastically improving the accessibility of these vital services to the rapidly growing Indian community in the region. He is an examiner of Royal Australasian College of Physicians and a Royal Australasian College of General Practitioner accredited continuous medical education provider. Dr Khillan is also known to use his entrepreneurial skills to educate general practitioners about the business aspects about their operations, allowing them to concentrate wholeheartedly on their patients. At the community level, he is well-known for his work with the Overseas Medical Graduates Association (OMGA), a medical, academic, political and socio-cultural platform advocating for overseas-trained doctors, aiding in their smooth transition to the Australian healthcare system. OMGA also organises continuing education programs and conferences for medical professionals, health education campaigns for the community and fund-raising campaigns. Along with the Australian South-Asian Healthcare Association Charity (ASHA) OMGA has helped with project sites in India, Sri Lanka, Nepal, Fiji and East Timor with financial support and medical expertise. Dr Khillan is also the founder of Doctors Against Domestic Violence, which provides free support, guidance and medical services to the victim of domestic violence and children of victim of domestic violence in Victoria. For her commitment to strengthening interfaith understanding, including through her coordination of dialogues between students of Islamic, Christian and public schools in the northern suburbs. Dr Cheema works as head of science at an independent college in the south eastern suburbs. She is the convener of interfaith dialogues in the northern suburbs which then expanded all over Melbourne. Various schools, local police, council, RSPCA, Blood Donation Australia, local aged care centres and local community leaders became part of this journey. For three years now, she has organised mass blood donation camps for the local community, not only donating blood and plasma herself but also inspiring others from different nationalities and ethnicities to do so. Dr Cheema leads teams in arranging, training, empowering and mentoring fellow members to handle domestic violence issues. She has successfully accomplished projects like ‘Cover Me’ for homeless people in winter; helped Nepal earthquake victims through fundraisers and sent medical supplies to Fiji flood victims. She also runs a food drive for homeless people. She conducts free employment and careers workshops focused on resumé writing, interview skills and job readiness at RMIT and Latrobe universities. She has won special appreciation awards from the media for her initiatives in raising awareness against dowry, women’s molestation, child abuse and family violence. In 2013, she was first runner-up at Ms India Melbourne and represented Australia and India in the US at the Global United Beauty Pageant. She says that in the future, she is committed to promote cultural understanding, interfaith dialogues and youth leadership. “It is a highly effective way to pass on the legacy of working towards community to coming generations,” Dr Cheema concludes. 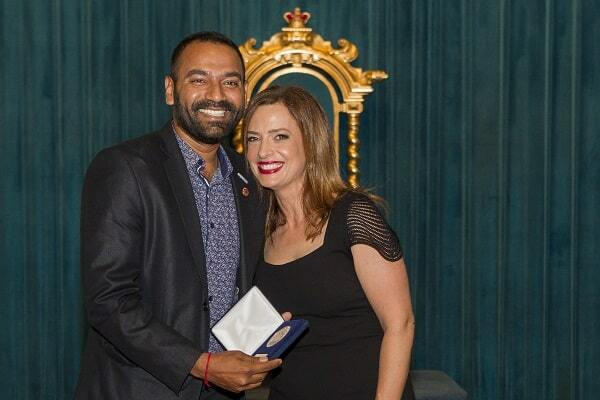 For his work with disadvantaged youth from diverse cultural backgrounds, particularly in his role at the Spectrum Migrant Resource Centre and through the creation of the Hume Interfaith Network youth program. 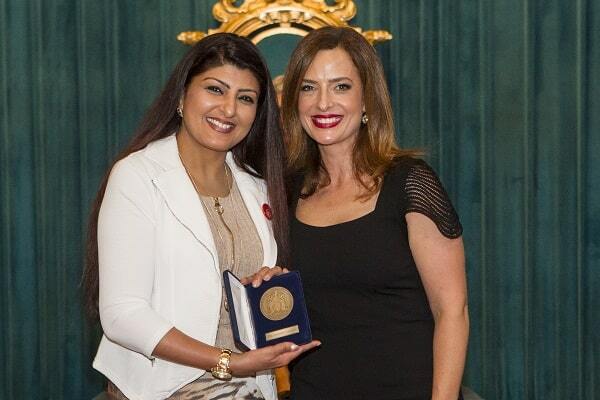 For her work with culturally diverse women and children who have experienced family violence, and for improving the cultural competence of family violence prevention and intervention professionals. Dr. Lata Satyen is a Lecturer in the School of Psychology at Deakin University. She also works as a pro bono psychologist with victims of family violence. She teaches cross cultural and forensic psychology to undergraduate and postgraduate students and has been teaching for the past 19 years in Australia. At the community level, Dr Satyen is known for reaching out to migrant women who have been affected by family violence. Lata is conducting a range of research projects to prevent and address family violence in multicultural communities. She hopes that with increasing knowledge, the community’s attitudes towards family violence and those affected by it will change and that the community will be able to support victims better.